Prince Harry and Prince William are very close. They always have been. But the brothers are now even closer – literally. 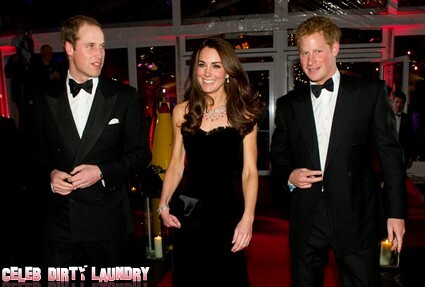 Harry has moved into the same Palace where his older brother and Kate Middleton live when they’re based in London. The third in line to the throne was living with his dad Prince Charles until recently…but decided to branch out on his own. So he moved to an apartment at nearby Kensington Palace. That just happens to be where the royal newlyweds set up home last year. Now the three royal musketeers are back together! An insider has told CNN the move is no surprise ‘Prince Harry and Prince William are a double act for the rest of their lives. They are very loyal and trust each other. Loyalty is key. Harry is very respectful towards William.’ They’ve been though so much together since their mother Princess Diana’s shock death in 1997 and they feel stronger together than apart. At the moment Wills and Kate are living in a cottage on the grounds of Kensington Palace. But they’ll move into an apartment in 2013. 27 year old Harry will then move into their former cottage. Kensington Palace holds many memories for the boys. They lived there as kids. It was Diana’s home from 1981 until her death. I just wonder how the Duchess of Cambridge feels about having Harry around even more. Is he a third wheel? And what will happen when the notorious party boy eventually settles down…Will they all live happily ever after together?